ASDL (Asymmetric Digital Subscriber Line) is the most common and popular technology for providing high speed broadband internet connection to your homes and offices. ADSL or DSL is a Technology where you can get access to high speed broadband internet through your old existing copper telephone lines. This also saves cost as you do not have to lay down special or extra wires or cables for internet connection. To use ADSL technology for internet you will require an ADSL Modem. It must also be noted that there is a small difference between ADSL and DSL Technology and Modem which I will explain next. The two most popular ADSL Broadband ISP (Internet Service Providers) in India are BSNL and Airtel. In DSL technology both download speed and upload remains the same (i.e download speed = upload speed) , therefore it is also known as SDSL or Symmetric Digital Subscriber Line while in ADSL download and upload speed are different. In ADSL the upload speed is much less than the download speed therefore it is called Asymmetric DSL. This makes ADSL more cost effective for the internet service providers (ISP) and is used commonly in homes and small offices. For both these technologies there are different types of modems too available too i.e ADSL modem and DSL modem. It must be noted that you can also use a DSL modem if you have ADSL internet connection. Also DSL modems are a bit costlier than ADSL modems. There are different versions of ADSL technology with different speeds (maximum speed) that are mentioned below. *Mbps above stands for Mega bits per second. As we can see from the above table that the upload speed in ADSL Technology is very less as compared to download speed. Here are some important things that you have to keep in mind when buying an ADSL Modem for Internet. This is the place where you connect your LAN or RJ-45 cable to your Laptop and the ADSL Modem. Number of LAN ports varies from modem to modem but my advice is to look for a modem with at least 4 LAN ports. More LAN ports will allow you to connect more computers to your modem for sharing internet and other files or data over Local Area Network. ADSL port is the RJ-11 post and it uses your telephone line having RJ-11 connector and cable. Some ADSL modems come with inbuilt Wi-Fi routing capability that allows you use internet through Wi-Fi mode. This also saves you the cost for an additional wireless router if you plan to go wireless in the future. So look for an ADSL modem with in-built Wi-Fi connectivity option. Some ADSL modems have very easy to use user interface and comes with advanced security options like firewall etc. So if you can make some research on these features then it would be good for you. If you are a heavy internet user then proper cooling is very necessary for your modem. This is because your modem can get very hot if you uses it for 24×7 a day non-stop. So make sure the modem has got proper vents for allowing the heat to dissipate and has proper ventilation and good airflow. A modem from good company or brand will always perform better and lasts longer. Some good and well known brands of ADSL modem are D-Link, Netgear, Cisco, Linksys, TP-Link, Asus, Belkin. (1) Which form should I fill-in to apply for FTTH? (2) Which modem/router shall I buy from market. I do not want to buy BSNL model/router. 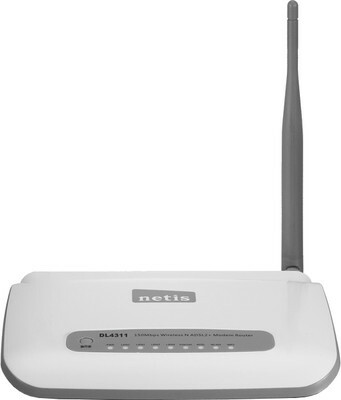 I want to buy adsl modem wifi router for bsnl which is best tenda d303 /d301 /dh 301 reason behind it, please guide me. I suggest you to go for Tenda 303. It comes with Broadcom chipset which is best for BSNL broadband connection where noise and distance from exchange is a concern. Tenda DH301 is expensive and will not be any good use to you. I am personally using Tenda D303 from 2 years and it is working great. Thanks a lot, ya I will go for it, now my confusion is clear n once again thanks for replying so fast from u r busy schedule. Sorry to disturbing you again I had forgotten to clear one more doubt yesterday suppose if I have to change my connection in future to fiber cable /ethernet/ftth from present adsl bsnl connection will this tenda d303 be useful n how, if not what is the solution. It can work with cable modem but FTTH is completely different technology and you need a fibre / ont modem for it.